Texas universities hoping for state help in constructing new buildings are close to receiving their wish after the House and Senate gave final approval to legislation authorizing $3.1 billion worth of construction bonds. After a long wait, dozens of new buildings could soon be coming to university campuses across Texas. That's thanks to legislation sent to Gov. Greg Abbott on Saturday. The bill's approval is a relief to higher education leaders, who listed the bonds as one of their top priorities this session. Traditionally, the Legislature has approved a new batch of the bonds every other session. But that hasn't happened since 2006. Texas A&M University - Commerce, $48 million for a nursing and health sciences building. Texas A&M University - Corpus Christi, $60 million for a life sciences research and engineering building. Texas A&M University - Kingsville, $60 million for an educational complex. Texas A&M University - Texarkana, $32 million for an academic and student services building. Tarleton State University, $54 million for an applied sciences building and $40 million for a "southwest metroplex" building in Tarrant County. Texas A&M University - Central Texas, $36 million for construction of a multipurpose building. Texas A&M University - San Antonio, $63 million for a science and technology building and campus infrastructure. University of Texas - Rio Grande Valley, $36 million for a multipurpose academic building in Brownsville and $31 million for an interdisciplinary engineering academic studies building in Edinburg. University of Houston - Clear Lake, $25 million for construction of a health sciences and classroom building in Pearland and $54 million for construction of a STEM and classroom building. University of Houston - Downtown, $60 million for construction of a science and technology building. University of Houston - Victoria, $60 million for academic expansion and land acquisition. Lamar State College - Orange, $10 million for a multipurpose education building. Lamar State College - Port Arthur, $8 million for expansion of technology program facilities. 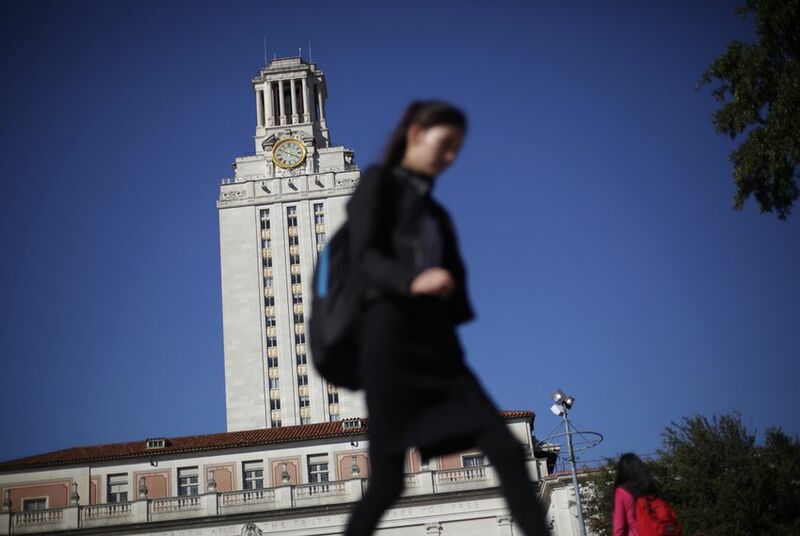 Texas Woman's University, $38 million for laboratory buildings. Texas State Technical College - West Texas, $12 million for an industrial technology center. Texas State Technical College - Harlingen, $3.8 million for phase II of the Engineering Technology Center renovation. Texas State Technical College - Marshall, $11 million for the purchase and renovation of the North Texas Technology Center.